There’s a reason for our rituals; for our good luck charms. Riders and coaches will do almost anything to feel safer, to be able to ride with less fear. 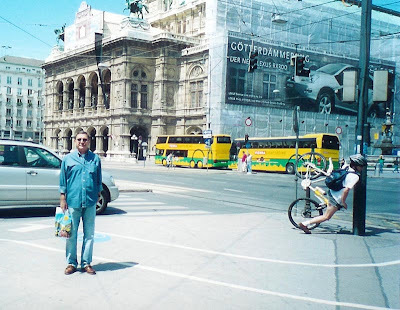 Even so cyclists make mistakes. Sometimes we’re arrogant and those ‘mistakes’ are intentional, it comes from cheeky riding. Let’s face it, there’s an exuberance and enthusiasm that comes from exerting our will on an uncaring world; this sometimes makes us brash and reckless. 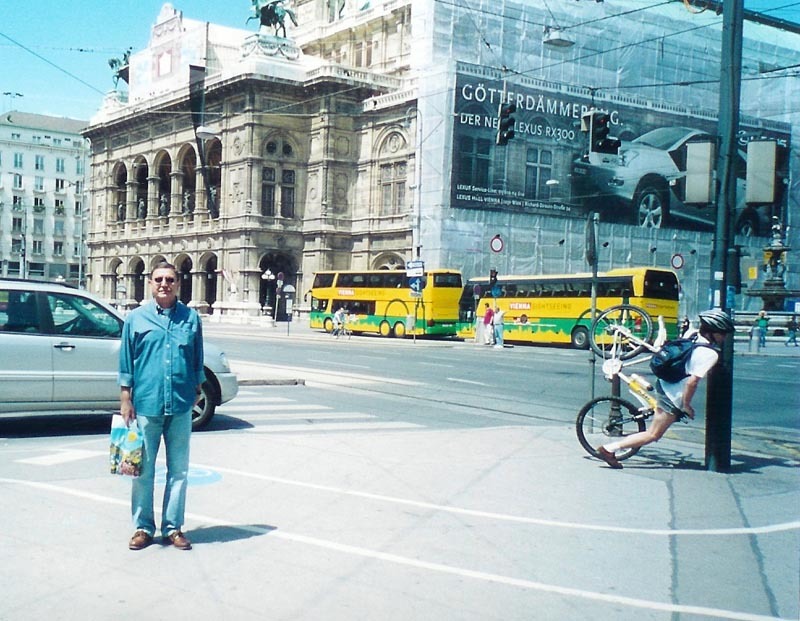 Motorists sometimes mis-interpret why cyclists don’t stop at intersections. I’m not condoning it, but I’d like to offer an explanation. The reason is that the cleat, fixed to the shoe, is almost like a key that fits into a lock [in the pedal]. You can imagine, not being able to see the keyhole, it can get tricky to maneuver the cleat into a specific space. But every time a rider stops, he or she has to unclick both feet. When a rider pushes off there’s a tricky moment where the rider must try to find the pedal and click into it. Remember this is a blind process, the rider must feel his way, and many amateur riders fall either because they can’t get their feet in or out of their pedals. And it’s for these reasons that cyclists try to avoid having to stop altogether, if they possibly can. Some years ago I was cruising down Bloemfontein’s biggest hill, down Harrismith Road, and a third of the way down I saw the traffic light blink red. I decided I wasn’t going to go through the rigmarole of stopping. So I went through the intersection – without slowing down – and then a car immediately ahead of me turned left into a driveway and I because I was flying down I couldn’t stop. I hit the passenger door and flew, in a somersault, over the bonnet. I landed and rolled in one movement and stood up without a scratch. My bicycle was fine, front wheel alignment slightly out, but not enough to preventing me from completing the day’s training. The driver, shocked, feeling responsible [unaware that I had gone through the red light] assured me he would pay for repairs the dent to his front door. I cycled away feeling like Superman. For every story like that there are a handful of stories about arrogant or aggressive drivers, and usually the cyclists come off second best, often dead [see below] with their bicycle frames in pieces. This article doesn’t intend to lay blame in either case – but I’m sure we can all agree that being on the road, whether in a car or on a bike, is dangerous. What a lot of cyclists don’t realize – and probably don’t like to think about – is just how dangerous the sport is, and how easily freak accidents happen when you’re riding on less than an inch of rubber touching the road. And when a serious accident does happen, what should the accompanying peloton do? When I started out cycling, this is around twenty years ago, I encountered a rider with massive cuts in his face, to his lips and tongue. What had happened was due to a manufacturers fault. The frame’s fork [supporting the handlebars] had snapped. 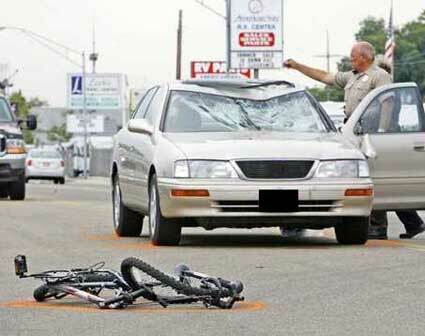 The rider – a skilled cyclist - was doing criteriums and without warning fell face first into the pavement. That’s not something you can prepare for other than to have your frame X-rayed. The point is that accidents happen and because they do, it always pays to be extra-cautious. What I am about to tell you is a true story that happened on the morning of December 8th, a Tuesday. I joined a large bunch of the Illovo Riders as they turned into Hope Road, at around 5:15am. Around thirty of us negotiated Hope Roads speedbumps and avoided the occasional potholes and a few kilometers later, we were freewheeling down the smooth and straight [and obstacle free] Club Street. On our left was the foliage and greenery of the Huddle Park Golf Club, while on our right, the suburbs of Linksfield were still sleeping. We were freewheeling at 48.8km/h. This was unusual – we often motored down this section at a heady 55-65km/h. But since all the major races were behind us, we were in a relaxed mood, a pre-holiday buzz. It was due to this slower speed that two riders moved forward. One of them, a strong rider originally from the Free State, Barry Burger**, stood up and as he did, his foot slipped off his pedal. This happened so suddenly and unexpectedly that Barry lost control of his handlebars and from the standing position fell onto the road, face first. From where I was, 10-15 metres back, I saw the sudden bottlenecking of riders, and sparks fly as Barry’s bicycle pedals scratched against the tar. Within 2 or 3 seconds I was beside him, having seen another rider go straight over the top of him and falling, but at a much reduced speed. The entire peloton pulled over. Fortunately we had a safety vehicle escorting us – the Yaris idled in the road, emergencies on, providing protection against traffic coming in from the rear. It was immediately obvious that it was a very serious fall. For starters, Barry wasn’t moving. Also, the position of his body, head against the road, body facing flat against the road, and hands and arms at the side of his body. I immediately pulled out my phone and said we should call an ambulance. Someone else beat me to it. The next thing we noticed was thick tomato sauce red blood on the road surface around his head. The leader of our group, Jeremy Maccelari, kneeled over Barry. One of the lady riders, seeing what we’d all seen, started sobbing. Someone removed Barry’s bicycle and loaded it into the hovering Yaris. Given the obvious seriousness of the injuries, time now moved agonisingly slowly. Barry remained motionless, Jeremy spoke to him but there was no response. A few riders went on ahead to slow traffic approaching in the opposite direction, others directed traffic around the accident scene. After around a minute Barry’s breathing became audible. A horrible, gurgling, almost snoring noise. It was clear that the haemorrhage he’d suffered was interfering with respiration. I suggested that we turn Barry onto his back since he was lying on his lungs, causing his body to heave more and more with each breath. But the risk was, if he had suffered damage to his neck or skull, that movement could aggravate this. Also, by leaving him face down, the blood was more likely to exit the body than flow into his mouth and lungs, something that was already happening. I warned that if the wheezing stopped we’d have to immediately begin CPR. The next few minutes were brutal. Barry’s breathing became more labored, and finally he made small ineffectual movements of his arms and legs. Jeremy spoke to him throughout, trying to keep him still. Barry did not seem to be fully conscious. By the fifth minute Barry had turned himself slightly, so that he was lying more on his side. Jeremy kept a hand on him, saying his name and encouraging him to lie still, reassuring him that help was on the way. The ambulance arrived and the paramedic walked calmly to where Barry was lying, by now the patch of blood was about two square feet, and we could see obvious damage to his face around his eye, directly below the helmet. The paramedic didn’t run around in a panic. His movements were careful and considered. After a brief examination Barry was turned onto his back, his helmet straps cut and the helmet removed, and a transparent oxygen mask slipped over his mouth. I noticed a thin red line of blood erupt from his mouth and flow down his cheek. His cycle shirt was also removed to check for injuries to his torso – there didn’t seem to be any. Two or three riders then assisted in loading Barry onto a stretcher, and during this time his phone was used to contact his wife and inform her which hospital he was going to. While one of the riders in our group – Allan – is a doctor, Jeremy supervised the entire process and Allan had no problems with what we were doing or how we were doing it. After the ambulance left a subdued group turned around and cycled back the way we had come. Since that day it is difficult to get on the bike and not have flashbacks. The trick is to be aware of the dangers and how easily they can happen, to be prepared, but not to be overcome with fear. The trick is a balance then of preparation and alertness. I called Barry’s phone later that day; his wife answered. She sounded concerned, but not distraught. Barry had been induced in a coma, and was on a ventilator. He had suffered a fractured eye socket, a broken jawbone and broken nose. The concern was brain damage, and unfortunately it was later ascertained he had some bruising to the brain and small internal ruptures in the brain. A week later Barry ‘came to’ but has remained under heavy sedation and is still on a ventilator. Progress is slow. This particular accident happened as a result of a cleat slipping out of a pedal. Check yours. Check your frame for signs of cracks, warping or rust. - as far as possible, when in a tight knit group, don’t make any sudden movements. The guys in our group have observed that we have ridden literally thousands of kilometres together since the last crash. This crash happened not due to a touch of wheels, or a pothole, or due to traffic but was entirely a freak accident. It can happen. Check your equipment and stay alert to your environment and fellow riders. Now go out there and have fun. *From Daniel Coyle’s book Tour de Force, on Lance Armstrong.